Islander’s brother, Kahuna, often got together with fellow Hawaii club members at his university in the Pacific Northwest. The homesick students would share their favorite island foods with each other, “talk story,” jam on their ukuleles and have impromptu hula dances. It was a nice study break and a chance to connect with others in their culture. 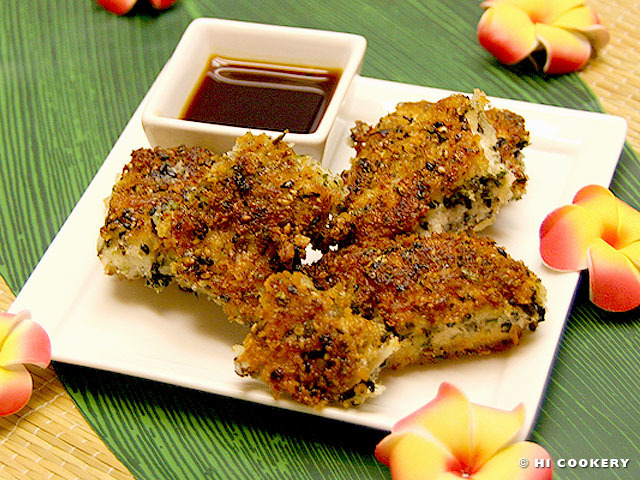 Kahuna would cook his favorite furikake mahi mahi (crispy fried fish seasoned with salt, sesame and seaweed). It was always a popular potluck dish on the mainland as it reminded Hawaii “expatriates” of the “onolicious” furikake mahi mahi plate lunches back home. Occasionally, Kahuna gets requests to cook the dish for friends and family here on the mainland. 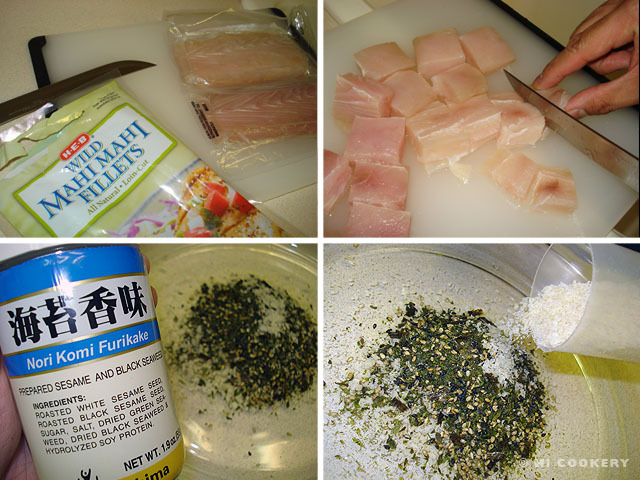 We asked him to prepare furikake mahi mahi for our blog post to commemorate National Seafood Month. Mahalo nui loa to Kahuna for being a guest chef on HI Cookery. Cut the mahi mahi into 3-ounce size fillets. 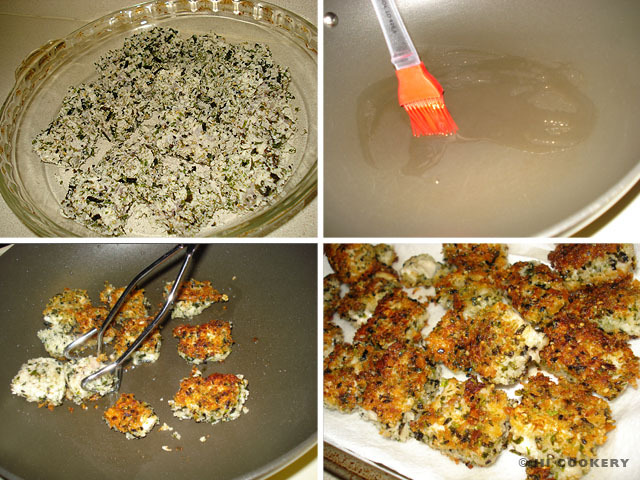 In a plate, combine the furikake and panko. 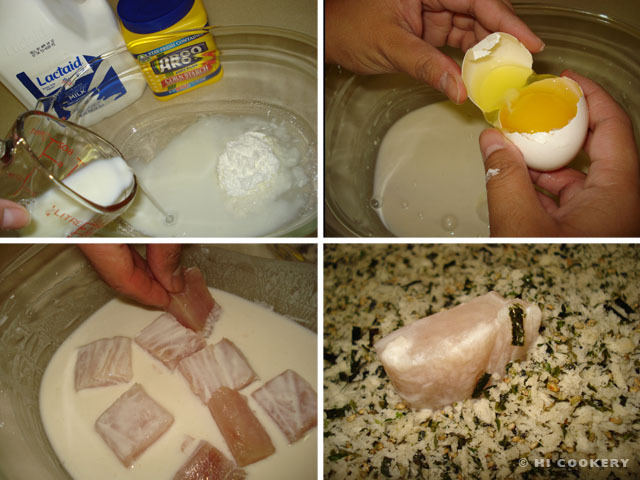 In a bowl, mix the egg white, water, milk, flour and cornstarch to make a smooth batter. Dip the mahi mahi pieces into the batter. Roll into furikake-panko mixture. Heat the oil in a skillet. Fry both sides of the mahi mahi until golden brown, being careful not to cook and dry the fish. Drain on paper towels. Serve hot with dipping sauce (optional). 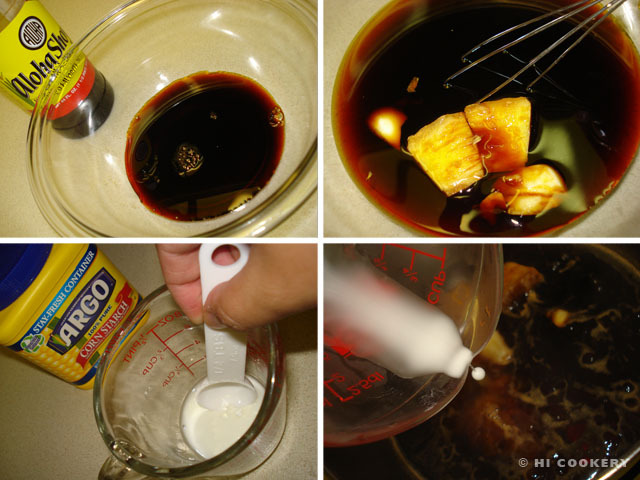 In a bowl, mix the soy sauce, ¼ cup water, sugar, ginger and garlic. Cover and let stand for at least two hours to allow the flavors to blend together. Simmer in a small saucepan over medium heat. In a small measuring cup or ramekin, make a thickening paste by mixing the cornstarch with the 1 tablespoon of water. Stir into the sauce mix until thickened. Discard the ginger and garlic. Serve with the furikake mahi mahi. Kahuna has cooked furikake ahi (tuna) in the same manner. Read the difference between the fishes ahi and mahi mahi here. Look for nori komi furikake seasoning at Asian grocery stores.